I never really used sweet potatoes in my dishes… and if I ever had them, they were mashed and served with butter lol. Never would I have imagined having them as a “sweet potato toast” topped with fruit, nut butter, chocolate, and guacamole… or as sweet potato smoothies for breakfast! 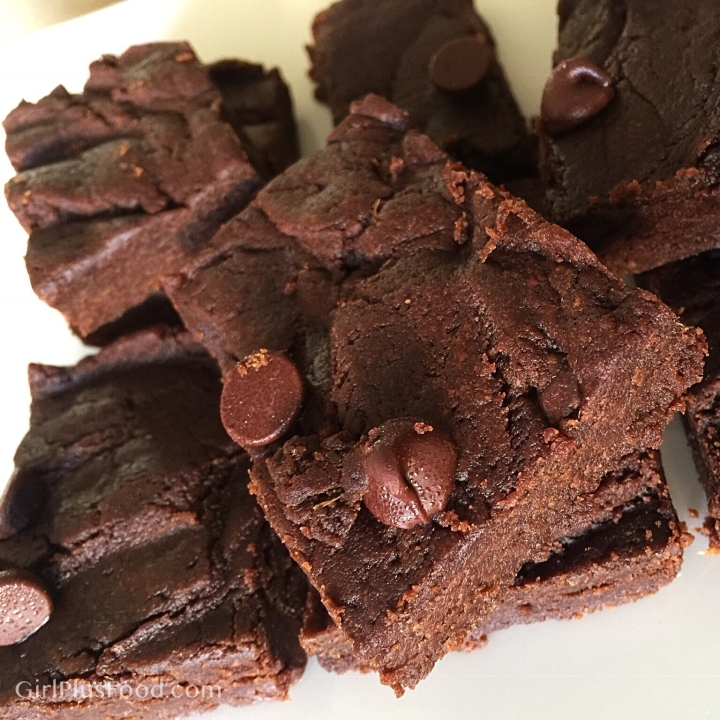 So I was totally mind-blown when I realized this magical orange superfood can be transformed into the gooiest, fudgiest, and the most chocolaty sweet potato brownies! Yep, BROWNIES! I kid you not!!! Yet another delicious way to enjoy this amazing superfood! The beloved sweet potato is an excellent source of vitamin A and C, both vital for supporting immune function and protect cells against aging and disease. Plus, it’s packed with energy-supporting B vitamins and minerals, including potassium which lowers blood pressure and reduces strain on your heart! Ready for this scrumptiously nutritious treat? Line 8-inch pan with parchment paper or grease well. Heat nut butter until easy to stir. Then in large bowl, whisk nut butter with sweet potato and vanilla extract. In separate bowl, combine remaining ingredients. Make certain baking soda is evenly incorporated. Pour dry ingredients into wet (not other way around), and smooth into prepared pan. Bake on center oven rack for 20 minutes. Bonus: Serve warm with a scoop of vanilla ice cream or banana nice cream! Next: Chewy Vegan Almond Flour Cookies – 4 Ingredients!